This may be one of the first looks at the follow-up to the HTC One, currently codenamed M8. As you can tell from the image, it looks quite similar to the One, except for those two tiny differences. We’re seeing a dual-LED flash along with a dual-rear camera setup. The rest, well, looks like a One. 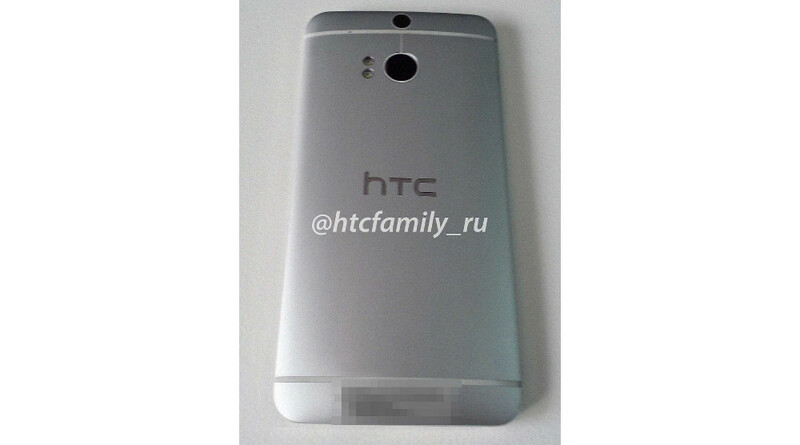 The leak comes courtesy of @HTCFamily_ru, who has been tweeting and retweeting everything it can about HTC’s next flagship. They even included a render of what the front could potentially look like, which we have included below. But if you talk about the dual-rear camera setup and the similar look as the One, those are two things we have heard before. Industry leaker @evleaks said just the other day that the follow-up would look “strikingly” similar to the original, while Bloomberg reported back in mid-January that the device would sport a “twin-sensor” setup on the back. A setup with dual-sensors could “provide better focus, depth of field and image quality,” though we’ll have to experience that for ourselves before we buy in. A previous report said that we shouldn’t expect to see the phone until late March.